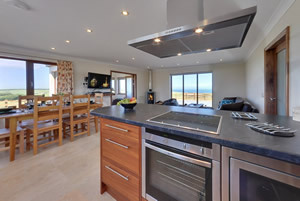 Our newest self catering cottage and we think set to become our most popular. Built on a splendid vantage point, Mill Wheel Cottage overlooks open farmland with stunning sea views of Luce Bay. 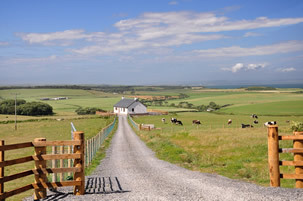 You can see for miles around; the Galloway Hills to the East and Port Logan Bay and Ireland to the West. Mill Wheel Cottage is a modern twist to a traditional Galloway cottage and it’s been specially designed to showcase the fantastic views. Floor to ceiling windows fill the cottage with light and give you uninterrupted views of the surrounding landscape. 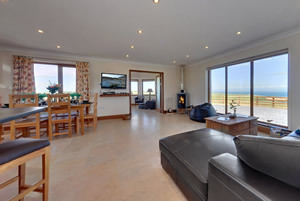 A luxurious open plan living space with a large kitchen / diner / living area offers a practical and sociable place to spend time together as a family, creating treasured holiday memories in beautiful surroundings. Kitchen: Finished to a very high standard in modern oak with electric oven and hob, fridge/freezer, microwave, wine chiller and dishwasher. Dining Area: Comfortable, sociable dining with a large table that seats six. Utility Room: Finished in a modern oak with a washing machine, tumble dryer and a stable door leading to the garden. Living Area: Open and airy with fantastic views through the floor to ceiling windows. Enjoy comfortable leather sofas, contemporary wood burner, 42” LCD wall mounted TV with full Sky package including movies, sport and children’s channels. Garden Room: The perfect room to relax in with comfy easy chairs, music system with iPod connection and spectactulor panoramic views. 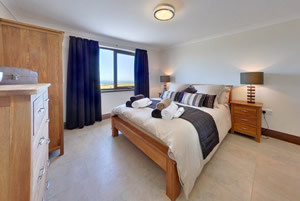 Master Bedroom: With king size bed and en-suite shower room. 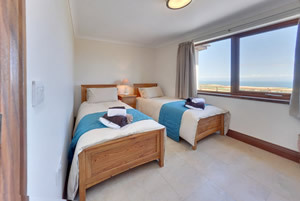 Double Bedroom: Comfortable double bedroom. Twin Bedroom: Two single beds. 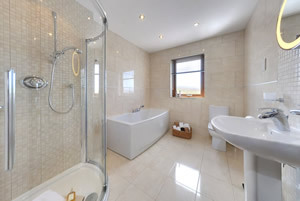 Main Bathroom: Stylish and spacious, with a free standing bath and a shower cubical. 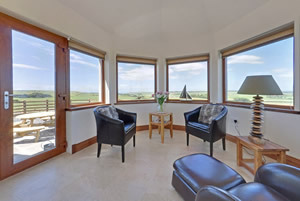 Comfort: Mill Wheel Cottage is tiled throughout with underfloor heating for all year warmth and comfort. Garden: Fully enclosed with a large patio area ideal for alfresco dining.